Oxbow says: For many years hedges have been the most common field boundary in rural Britain, providing a stock-proof barrier, a field boundary and a haven for wildlife. Despite this, they are rarely studied in any detail in landscape archaeology. The authors of Hedgerow History rightly argue that hedges, as an essential feature of the landscape, their origins and development, are as worthy of study as any other part of the landscape. Their book focuses on the species content and diversity of hedges, how these came about and how they changed over time. 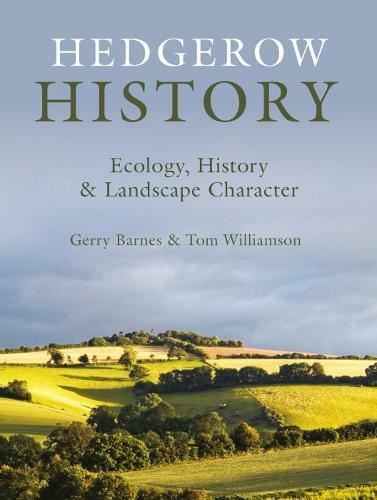 The introduction provides the background to hedges in Britain, the development of field boundaries, changes in fields and farming, especially the impact of enclosure, hedgerow management, and methods of dating hedges. In an attempt to evaluate the pioneering work of Hooper and Pollard in the 1960s and 1970s, and gain insights into the diversity of hedges and the possible human and animal reasons for it, Barnes and Williamson carried out a detailed survey of hedgerows in Norfolk. Finding 61 shrub species among the Norfolk hedgerows, they attempt to tie this data in with evidence on geology, soils, climate, woodland, enclosure, farming practices and historical factors, as an indicator of the processes of continuity and change that have taken place in the wider landscape.